Life is full of inspiration and interest that can create some of the most beautiful art or create some amazing music that speaks to hearts and minds. 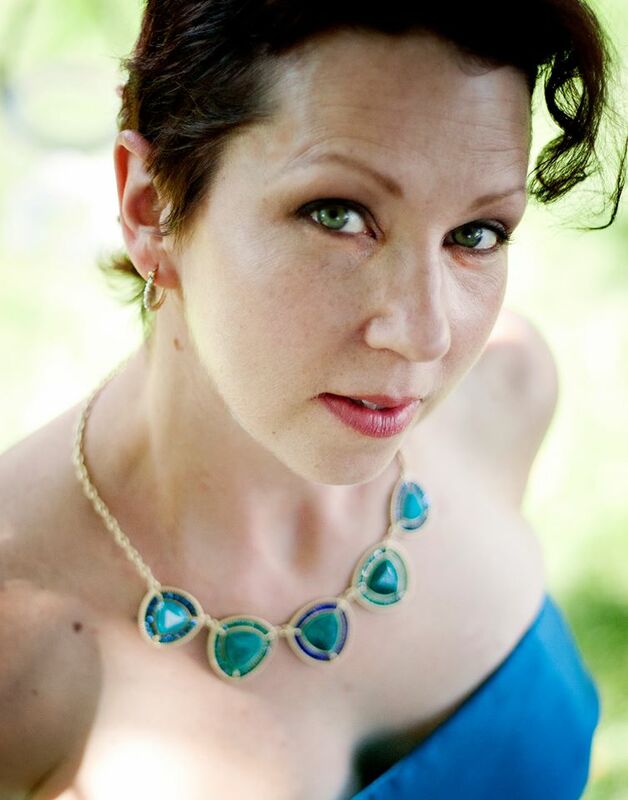 Amy Kress is a musician currently recording in Colorado pursuing her passion in music and battling cancer. Two things that often aren’t seen hand in hand but Amy has created quite the combination of lyrics of a dark topic in groove and dance type music that makes you think as much as it makes you dance. Contrast CTRL would like to acknowledge the courage and strength Amy Kress has presented to the world through her candid lyrics and vocals and how she turns it around into some danceable. She is truly a strong and amazing person for bearing her soul in such a way. Simply amazing. When did she become interested in music? “That’s a good question. It probably started when I was 15 and I Dave and he was extremely cute and in the choir in high school. So that’s what prompted me to sing following Dave. Then I realized I actually could sing. It wasn’t something I was terribly proud of felt all that great at and I kind of just tucked it away and did nothing with it. I was a closet musician, I never advertised I could. Amy also writes blogs from her life experience and as a way to keep honing her talent of the written word. She comments on her interaction with fans: “As much as I can. Um like right now I’m in a massive trump debate with people and that’s gotten out of hand quickly. I’m online a lot and try to communicate with anyone who tries to touch base with me. I’ve been going through cancer treatment lately and it’s been very difficult so every now and then I’ll slight binge on Facebook and put something on there and all of sudden I will get a multitude of responses. 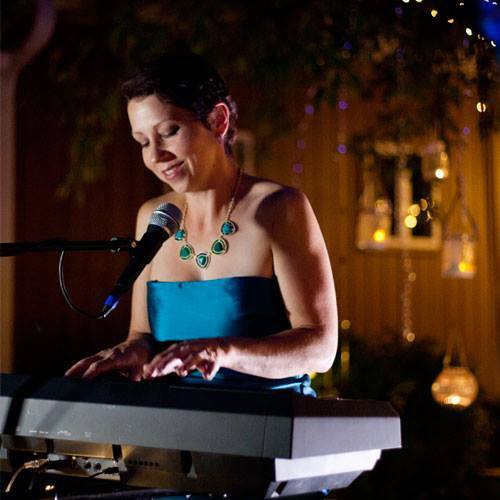 From raising children to battling cancer, Amy has proved to be a very approachable and warm person as she had fun answering questions and detailing her musical process. Not many artists have been through what Amy Kress has and wanted to be so open on it. From a “holy crap what am I gonna do moment” to a “It’s ok to admit I’m afraid and don’t know what to do”, Amy Kress shows her experience through the music she creates. For me personally, being honest and open like this only draws like minded ones in to a positive experience. Amy comments her transformation from closet musician to public singer: “I think what happened with my first album was when I first sat down with it, I never set out to write an album I just had a song I had written and a producer who contacted me and said he could take my piano songs and turn them into something more. All of a sudden having an audience astounded me. Having people who actually wanted to hear me sing and buy my songs was amazing. On the first album it was really upbeat and dancy and that’s what I set out to do. At live shows people would stand up and dance so that was really what I wanted to happen with it all. While going through treatment for the 2nd time, Amy and her producers pushed forward despite the obstacles to create a new dance album that is full of emotions and Amy’s experience as a cancer fighter and survivor. My Fears and I is a dark song that features electronic groove and Amy putting all she has into the lyrics and vocals to create a haunting ambient song that resonates deep within minds and hearts of anyone who may have fears of whatever they go through: “This is a dark topic I agree but it was really what was on my mind you know, I’m an emotional writer. If I’m not feeling any emotion I can’t write a song. Getting close to the end of my conversation with Amy I thanked her for being so positive and open about her battle with cancer and being able to translate that into music that is overall positive and able to be danced to. Amy also wanted to the convey a message of not being afraid to pursue your passion, put in the time to shape it and be willing to share with others no matter the response. Amy Kress is a example of someone who has fought against the odds and overcome. So what is the language of your soul? If you can answer that question, you may just have a talent hidden inside that is worthy of sharing with others. Contrast CTRL would like to thank, and welcome Amy Kress into the family of ever growing passionate musicians who want to create fun, insight, and interesting music that will either motivate or make you dance like a fool! Either way CC is looking forward to a musical world with Amy Kress and all that she has yet to create and share with us all. Amy Kress, Contrast CTRL, Electronic, Feature, Interview, James West, Language of Soul, Music, RnB, Singer. Bookmark.